To start with, this isn’t a diss on any country or any political preference,and I’m not pointing accusing fingers, but, truth must be told. I know I’ve been distant from you all lately, but, please, to my readers and subscribers, do understand that I, as everyone, have a lot to deal with, just to make ends meet. So, the matter of discussion is simple. In a way, it engulfs a whole lot. I termed this blog post “Simple Tools” to mean two things. First, why we are being controlled by machines (the simple tools), and also, why we had a drastic shift from simple tools, like hoes, cutlasses and all, to more “sophisticated” tools. 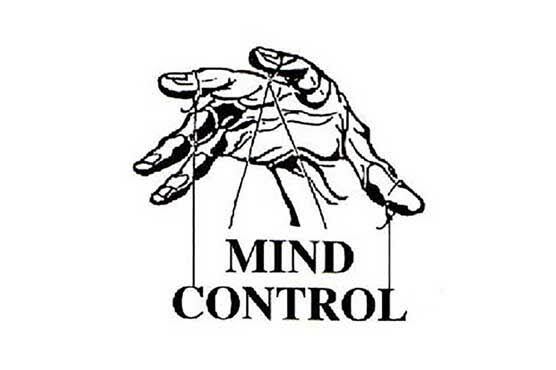 I believe that we are all being controlled and lured into an extinction of the mind. I believe that this extinction marks the early graves the capitalists are trying to dig for us. Most of us don’t know that. Over the years, we have had to make things easier for us. Right from the simple times where people discovered how to rub sticks and strike stones to make fire, even to more complex periods of machines. But, the question is, why? Why do we feel like life should be “easier”? Why do we feel like we are backward when there’s no technology? I had an annoying experience that actually opened my eyes. I was at home, where there was no signal, whatsoever, on my phone. I felt so alienated from the rest of the world that I began to only imagine how things were in the outside world. But, then, I thought, in the early times, didn’t people see one another to discuss and even play? Wasn’t it much more fun? I got liberated. Our parents used to tell us about how they used to sit under the moonlight to listen to tales from the elderlies. They used to tell us about those times when children would come out to play, fathers would gather to discuss the growth and development of the community while the mothers and young women would cook, while they also gisted.. This wasn’t even because of the fact that they were gender biased or anything, but, they valued the family, as well as face to face interactions. It’s stupid that I cannot go out on a date and have nothing to discuss with the girl I take out, I would rather text her. It’s annoying that I can’t even talk to my friends, unless we conference call or text. I am wondering why we rely on technology. Okay, so you’re telling me that it’s because you’re grown that you can’t wash your clothes with your hands, you have to use a washing machine?. Now, it’s even bad that you can’t even brush your damn teeth by yourself without using the rotating mechanized toothbrush. They say it’s development. They say it’s progress, when all I see is another way to death. Think about it, people used to live longer back in those days. My great-grandmother died when she was over 100 years old. Now, we have people that live for just 50 years – 70 years (80….if you’re lucky). They used to eat good food. They didn’t worry much. I mean, it was a communal setting that made thinking a lot easier. Nobody really thought about how to make ends meet. They weren’t thinking about what to eat, how to make money and all. But, capitalism has made all these things things we should perpetually think about. I don’t get why we all rely on technology. Yea, admittedly, it has its up sides, but, the down side is fatal. I’ve seen so many teens and youths chat on the road (do you know how many people die because of that?). You guys should endeavour to read George Ritzer’s work on McDonaldization and 1984, by George Orwell, they would truly open your eyes to a whole lot of truths. I believe that it would not kill us, if we go back to the root. It would not hurt if we could think for ourselves. I mean, it wouldn’t hurt if a student could solve mathematics homework without consulting the net. It would be amazing if our parents could cook without machines helping out. It would sincerely be nice if we could think by ourselves and do things by ourselves. If we don’t depend on the New World agenda, like might be easier.